$ 15 for an associate. 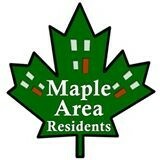 Individuals or families not residing in the MARI area can join as Associate Members. Associate members cannot vote or hold office. Dues are for the calendar year. Dues paid January 1 - November 30 are for the current year. Dues paid in December are for the following year. We also accept donations! If you have a PayPal account, your payment options are bank account (instant transfer), credit card or PayPal credit. If you don't have a PayPal account, your payment options are debit card, prepaid gift card or credit card. MARI dues and donations are not tax deductible.